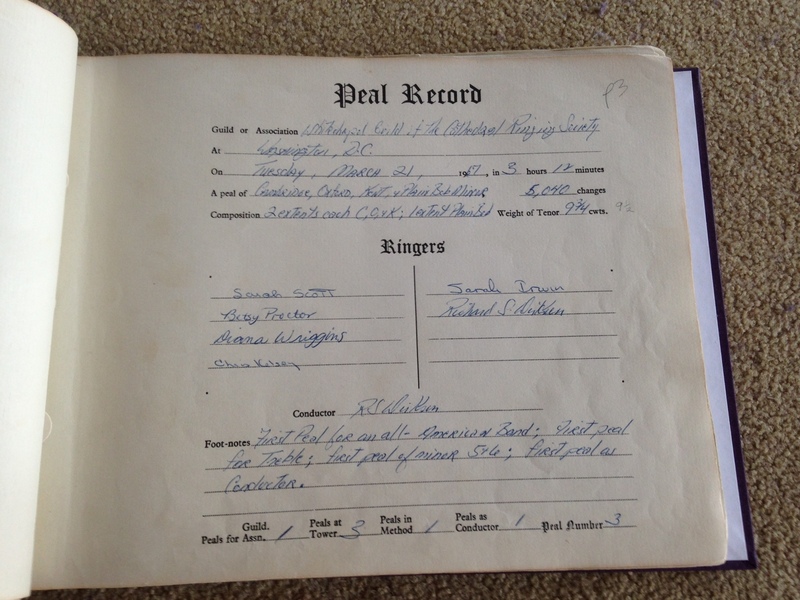 The 1967 peal in the tower book. This photo is attached to the performance 5040 Minor (4m). First submitted Saturday, 18 March 2017 at 22:09:32 by WRS Secretary.